Do you recognize this mission statement? That’s Google‘s. What about this one? It’s our responsibility to simplify cutting-edge products and continue to progressively promote and future-proof manufactured solutions, all while striving for technical leadership. I made that one up! Awful, isn’t it? But the thing is, it almost sounds feasible. Company mission statements can act as strong guidelines that help promote an attitude and culture that works towards your company’s goals. Or, they can mean so little that you might as well have generated them using a joke tool like this. So, what goes into a great mission statement? In our usual fashion when presented with a question like this, we turned to data. We analyzed 200 company mission statements from an equal mix of Fortune 500 companies (big players) and Inc 500 companies (private businesses) so we could get an idea of what the average mission statement looks like. We found the average length of a mission statement, common words and phrases, and frequently-used constructions. That’s not to say it’s as simple as plopping a few buzzwords into a template, but the data and examples should make a good starting point and give you a flavor. 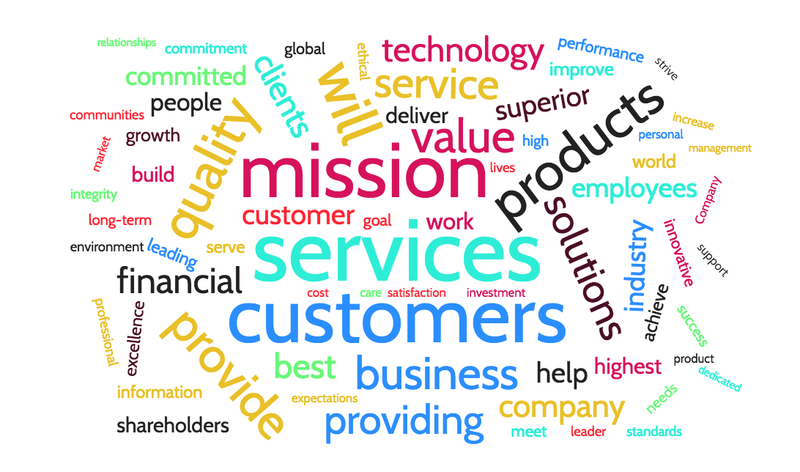 The most common words include “mission”, “value”, “customers”, “services”, “technology”, “help”, “quality”, and “products”. Click here to get the dataset we created to write this post. But first, let’s look at what a mission statement is, and why you should write one. What’s the point of a company mission statement? Your company mission statement functions how it sounds — it states the mission of your company. Your mission might seem like it is “to make as much profit as possible”, but your company’s value to anyone but the owners is more complicated. That’s why a mission statement isn’t so blunt, and will usually include a hint as to how you’re serving whoever you’re serving. What’s the point of a mission statement? Well, it answers this question: “what’s the point of your company?”. For example, what’s the point of Ford? In their mission statement, they say they are “providing personal mobility for people around the world”. In Appian‘s case, it’s to “connect people and information in a way that revolutionizes business”. A mission statement contributes to your company’s brand, but it is also a useful internal tool for checking whether business decisions align with your desired outcome. In the words of Chron contributor and marketing professor Neil Kokemuller, a mission statement “offers insight into what company leaders view as the primary purpose for being in business”. There’s a lot riding on the carefully-chosen words of a mission statement, but also plenty of benefits to enjoy. Internally, your mission statement acts as a consistent guideline to refer back to when evaluating every decision, and as an anchor around which to develop new initiatives that help you achieve your goals. Not serving or enhancing communities? Scrap it! 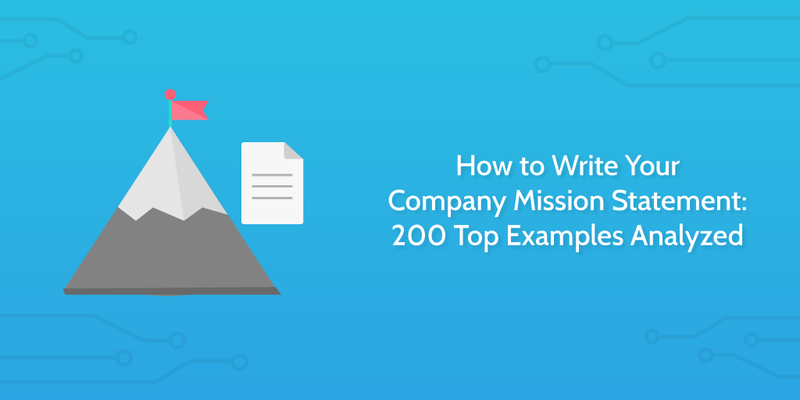 According to TINYpulse, this is a helpful point of reference — “a mission statement opens [internal] communication and can refocus a team that has been pulled apart in too many directions”, writes Laurel Weibezahn. A mission statement also helps shape company culture from the very beginning; it could attract the right hires, deter the wrong ones, and help guide existing employees to act in line with your organization’s goals and best interests. In a rapidly growing company, it’s hard to control cultural development if it isn’t rooted in a fixed, unifying statement that gives your decisions evidence and purpose. Mission statements can describe what your business actually does, or what it intends to do. In this study, we found that 82% of mission statements include no mention of what the company is doing right now, and instead choose to focus on what they hope to achieve in the future. This makes sense because a mission statement acts as a goal rather than a description of reality. A lofty goal is useful as a reference point for internal decisions, but a description of what you’re actively doing — rather than what you hope to do — could be better at communicating immediate value to customers, employees, and shareholders. Mission statements share internal goals with the public and broadly explain how those goals are to be achieved. What are you company’s goals, and how do you plan on achieving them? Your answer to that will be a core ingredient of your mission statement. Create value for shareholders through the energy business. Our mission is to create consistent value for our customers and supply chain partners that will maximize shareholder value and long-term earnings growth: we will do this by managing our business with integrity and the highest ethical standards, while acting in a socially responsible manner with particular emphasis on the well-being of our teammates and the communities we serve. This is the only mission statement in the dataset that is a quadruple threat, tipping its hat to customers, shareholders, employees, and society. A company mission statement isn’t to be taken lightly; it affects your brand, internal direction, and your core values as a company. For some, it’s a pledge to turn a profit for shareholders. For others, it’s a declaration of the company’s intent to make a monumental positive change to the world we live in. What does your company do, or strive to do, that makes it unique? Who’s interests do you serve, and how? Do you seek to impact society, create a first-class environment for your employees, provide value to shareholders, or are customers the most important asset? 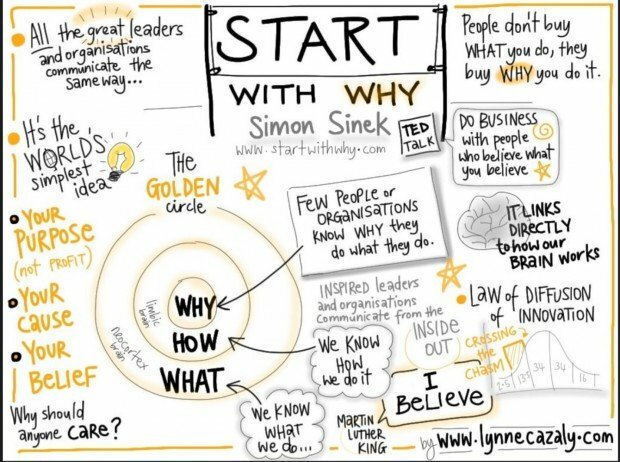 Figuring out the answers to these questions isn’t just useful for coming up with a mission statement — these are the core principles which will anchor you as your business flourishes. How did you come up with your mission statement? What’s the best (or worst) mission statement you’ve found? Let’s chat in the comments. Ben: Have you analyzed companies’ vision statements too? Hey Martin — no, I didn’t look directly at the vision statements, I used a list of mission statements from here: http://missionstatements.com/ Really, I think that many of them count as vision statements, too. There seems to be a lot of flexibility and crossover with the definition.